Horsetail is a thin and sterile perennial plant with a rhizomatous stem that looks like the tail of a horse. 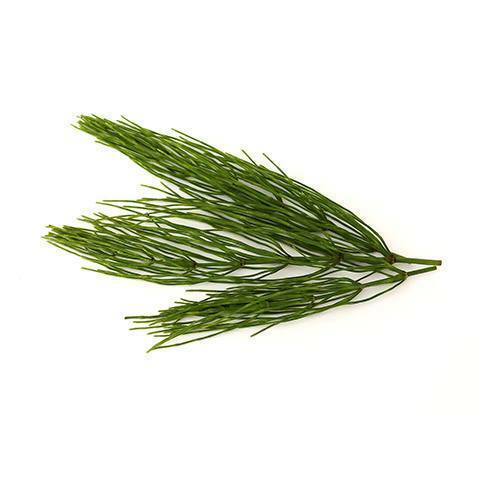 Horsetail is known for its anti-inflammatory, antibacterial, antimicrobial, antioxidant, and astringent activity. Research shows that silica in Horsetail may help promote hair growth and strength and may also be beneficial for those with hair loss, dandruff, and split ends.